Magnolia Bend Shadow Wood At The Brooks Homes: Extravagant custom built home by Keevan has so much to offer. With two floors of opulent space the luxury is carried outside with three separate verandas and an outdoor seating area complete with a fireplace, a summer kitchen,custom pool and spa Oversized kitchen complete with commercial appliances and center island. A wet-bar opens to the formal living room with access to the formal dining room. Ninety-degree zero-edge sliding glass doors in the family room open to the outdoor seating area. Other rooms include a study, powder bath, guest suite with a pool bath and a large efficient laundry room.The first floor master is a spacious suite and has a separate retreat featuring a morning kitchen. The master bath contains his and hers oversized walk-in closets as well as an enormous shower and jetted Roman tub.The special feature of the second floor is the billiards room which is open to the leisure room below. Also featured upstairs is a second master and guest suite with baths attached each having access to a balcony overlooking the pool and spa area. Lavish, open, inviting, all describe this magnificent home. A perfect setting for endless entertaining as well as quiet retreats. Magnolia Bend Shadow Wood At The Brooks Homes: This home offers THE BEST outdoor space in Shadow Wood with a COMPLETELY RENOVATED lanai, pool and picture window screens on back and both sides. Private views of lake and preserve with SOUTHERN EXPOSURE provides the lanai and pool will be in full sun all day. The sunset from the upstairs suite is absolutely breathtaking! Infinity edge pool and spa are heated with NATURAL GAS as well as the grill from the summer kitchen. Kitchen was gorgeously renovated in 2018! Both the living room and family room offer 90 degree pocketing sliding doors into the lanai. This quality Harbourside home offers 4 bedroom + den, 4.5 bath and oversized 3-car garage. 3 bedrooms are downstairs each with their own bathroom with an entire guest suit upstairs with; bedroom, full bath, large loft, wet bar and wrap around balcony. Exceptional features include; Lutron lighting system, unique quark wall with custom built bookcase, coffered ceilings and wood floor in den, large Master suite with sitting area and wetbar. Come see this unique opportunity in Shadow Wood at the Brooks which offers 54 holes of Championship Golf, Tru-Har tennis courts, beach club, fitness center and much more! The Reserve Shadow Wood At The Brooks Homes: Superior updated and furnished Kingon Terracini model custom estate home with 4 bdrms + den, 5 bath(4/1), 3 car garage, located in the prestigious neighborhood of The Reserve in Shadow Wood. Private and peaceful SE lake and preserve views. Enter this fabulous home thru the extended front porch with marble entry and privacy gate. Updated colors and high-end upgrades throughout the home. Living/dining rooms feature double tray ceilings with crown molding detail, archways, niches, marble floors with mosaic design detail, and 90 degree sliders opening to large lanai. Remodeled gourmet kitchen offers large center island with eat-in-bar, Thermador appliances, gas cooktop, walk-in pantry, banquette for casual dining, mitered glass windows, wine cellar and wet bar. Second floor has leisure room with pool table, 2 en-suite bedrooms providing pure luxury for your guests, and screened-in balcony for sun & fun. Lanai features expansive 40" picture screen window, gas & solar heated pool with sun shelf, outdoor fireplace and kitchen, and multiple seating and dining areas. Home generator/new HVAC's. Live the Florida lifestyle in truly one of Shadow Wood's finest homes! Orchid Ridge Shadow Wood At The Brooks Homes: Elegant living as the indoors blends with outdoor living in this 4-Bedroom + Den/ 4.5 Bath estate home by Kingon Builders. The spacious outdoor living area features a large lagoon-style pool with 3 waterfalls, outdoor kitchen, and a long lake vista. Den with wood floors and fireplace, a casual Living area that opens to the outdoors, Open kitchen with gas stove, reverse osmosis water and beautiful cabinetry. A private office, large media room, a 20x20 bonus room, and a spacious second-floor lanai . Gorgeous views from every room, Detailed Ceilings, Curved mitered windows, Moldings and Granite, beautiful chandeliers, extensive custom wood built-ins, French Doors, enhanced columns, and extensive lighting and landscaping create a richly detailed home to support a quality high-end lifestyle. Shadow Wood at The Brooks is an upscale gated community near shopping, restaurants and entertainment with HOA under $300/month and the OPTION to join the golf, sport and private beach clubs. Oakbrook Shadow Wood At The Brooks Homes: Enjoy all the elements of the Florida lifestyle which come together perfectly in this custom-built Kingon Estate home. Masterfully designed craftsmanship shows from the Brazilian wood French entry doors to the spacious resort-style lanai and sweeping views of the 7th fairway. This home features 4 bedrooms, 4 full bathrooms and 2 half bathrooms, den, and 3 car garage. Stunning appointments throughout include Large Chef’s delight kitchen with natural gas cooking, Keystone columns and archways, captivating 600+ bottle wine cellar, polished travertine flooring in all living areas, tranquil study with private courtyard, summer kitchen with intimate fireplace area, and complete hurricane protection. Soaring ceiling heights, 22-foot Cupola in dining room, French doors, and pocket sliding glass doors along the back exterior bring in an abundance of natural light and make the home great for entertaining. Shadow Wood Country Club offers 54 holes of championship golf, nine Har-Tru tennis courts, a bocce court, pickleball and access to a private beach club and a fitness center. Orchid Ridge Shadow Wood At The Brooks Homes: The Estate home you have dreamed about- Pallatial Kingon-built custom home features one of the most perfect locations in all of Shadow Wood with sweeping deep, wide lake views. As you proceed up the raised entry through gorgeous Cantera doors into the grand foyer, you immediately experience the breathtaking Lake Vistas beyond the masterful 2000+ square foot Lanai. Expansive Infinity Edge pool is over 36 feet long. Stunning Architectural style with custom moldings and ceiling detail throughout. Family Room boasts 2 sets of 10 Foot 90 degree sliders with Panoramic lake views every where your eye follows. Corner fireplace serves both lanai and family room visibility. Functional Outdoor Kitchen for your entertaining convenience. Grand master bath features Marble flooring, his & hers lavatories, gorgeous Vanity detail and over-sized walk-around shower + Instant Hot. Spacious Den plus 2 Guest bedrooms with Ensuites baths. Home is equipped with Natural Gas operated Whole House Generator (2018.) Natural Gas also operates the Hot water Heater, Outdoor Kitchen, Range, Pool Heater & Fireplace. 2 A/C systems replaced 2017 with 10 year warranty. Pristine, immaculate inside & out. Woodsedge Shadow Wood At The Brooks Homes: Newly Renovated and a Million Dollar View of the Lake, 12th Fairway & Preserve paired with an over-sized home site are the perfect setting for this Custom Estate Home. Formal and informal spaces are great for entertaining. 4 Ensuites in the split plan are perfect for visiting guests and family. Walk through the 10 foot sliders complete with electric solar shades onto the spacious lanai with pool and spa, both efficiently heated by gas & solar. The Outdoor Kitchen is complete with wet bar, gas grill, refrigerator & stainless steel cabinet doors. Closets galore, including an air conditioned storage room in the 3-car garage. No expense was spared to equip this home with Impact Windows & Front door, Storm Smart screens for lanai, reinforced garage doors, as well as a Whole House 35K Kohler Generator run by the 500 Gallon Propane Tank. Other features include newer pool pump & heater, 2 newer A/C systems, extensive electronics including security cameras, whole house surround sound and intercom, 300 AMP back to back electrical service with surge protection. Memberships Optional - 3 Audubon Signature Golf Courses, 9 HarTru Tennis Courts, Fitness, Bocce, Pickleball & Private Beach Club. Orchid Ridge Shadow Wood At The Brooks Homes: OPEN HOUSE: SUNDAY APRIL 14th 1-4 ***JOIN SHADOW WOOD COUNTRY CLUB NOW AND PAY NO DUES UNTIL NOVEMBER 2019!! *** Just steps away from the clubhouse & rests on such a special homesite! Home Faces an Impressive & Tranquil Wraparound View Of BOTH A Vast Waterway & Lush Golf Course Setting. A Thoughtful Design of 4300 SqFT w/ a Multitude of Informal & Formal Living Spaces. An Entertainers Dream w/ 3 Different Wings for Owner & Guest Privacy, an Amazing Cooks Kitchen w/ Subzero Appliances & Features a Fun Additional Oven for Bread/Pizza. With 2 Outdoor/Indoor Separate Spaces (1100 SqFt) Owners & Guests Can Enjoy The View & Pool During Sunny & Cooler Days. Notable Luxury Appointments Throughout Include: Reverse Osmosis, Travertine Marble Flooring, Designer Lighting, Outdoor Summer Kitchen, Zero Edge Pool w/ Custom Pool Ledge & Peaceful Fountain, Oversized 3 Car AIR-CONDITIONED Garage, Impressive Wet Bar w/ ALL THE BELLS & WHISTLES: Subzero Wine Cooler, Sink, Ice Maker, & Built in Marvel Kegerator. Surround Sound Throughout Home, Wifi Thermostats (w/ UV Lighting),Wifi Alarm System, Upgraded Outdoor Landscape Lights, New A/C Units & New Pool Pump Equipment Complete This Stately Home. Magnolia Bend Shadow Wood At The Brooks Homes: Beautifully renovated custom estate with breathtaking lake view & preserved land/pine island beyond for unchanging views. Boasts Southern exposure for picture perfect sunsets plus a large 120’ wide parcel for ultimate space & privacy. Spacious lakefront entertainment deck with pool/spa, 2 outdoor kitchens, firepit & ample dining/lounging space is perfect for relaxing in complete tranquility. Fantastic open floor plan with split bedrooms, airy family room with linear fireplace, generous master suite with His/Hers walk-in closets & 3-car garage with A/C storage space. Newly renovated kitchen with custom white cabinetry, white quartz counters, marble backsplash, Thermador appliances & adjacent wet bar. This newer-built home includes new wood tile floors, wood-paneled ceiling accents, storm impact glass doors/windows, motorized shutters, Nightscape Lighting & more. Perfectly located in beautiful Magnolia Bend in Shadow Wood at the Brooks, minutes to Coconut Point, the Promenade & SWFL Int’l Airport. Optional Shadow Wood Country Club offers 54 holes of private golf membership, private beach club, 9 tennis courts, pickleball, bocce, fitness center with lap pool, fitness classes & more. Fairview Shadow Wood At The Brooks Homes: Custom, executive estate home with understated elegance and premium fit and finish offers 4 ensuite bedrooms plus 5 baths (4 full), den/study with built-in cabinetry and attached 3 vehicle garage space. The 4th large bedroom, on second floor, has abundant space for sleeping and bonus area for entertainment, hobby or fitness. As a preview before entering the house, one is welcomed by a gated courtyard with fountain and lush landscaping. Great room architecture flows into an open view of a chef's dream kitchen..gas cooktop, custom cabinetry, food prep space adjacent to two sinks and new backsplash and tile accent. The lanai is expansive w/ gas heated pool and spa, firepit, and outdoor kitchen. Wood plantation shutters throughout, custom closet in first floor master BR suite. Recent replacements and upgrades are numerous: resurfaced pool with LED lights, new pool heater 2016, new HVAC 2017, new water heater 2018, new lanai screens 2018, new garage doors 2016, outdoor lighting w/ 14 fixtures, FPL all house surge protector, security cameras in 2017 and MORE. Shadow Wood CC offers 3-18 hole courses, tennis, bocce, pickleball. Commons Club has private beach club & fitness facility. Magnolia Bend Shadow Wood At The Brooks Homes: Stately luxury is plentiful in this former model ARBC Rutenberg Tuscany II floor plan with 4 bedroom + den, 5 bathrooms, and 3 car garage home. Distinguished appointments include Cantera entry doors, hand crafted iron accents, custom wood built-ins, fireplace, tray ceilings, custom millwork and wainscoting, and antique brushed stone flooring in the living areas bring all the elegance together in this home. Gourmet chef’s kitchen with 3 tier Center Island, custom maple cabinetry, 6 burner gas range, open to your spacious great room and wet bar great for entertaining. Enjoy your master suite with sitting area, dressing room, spacious his & her walk-in closets and elegant master bathroom. Tranquil views from your spacious lanai with plenty of undercover seating, pool, spa, summer kitchen gazebo, and view of 2nd fairway of the south course. This home has a brand new roof in 2019, impact windows & doors and hurricane screens along the back of the house for easy storage of furnishings during the summer. Shadow Wood Country Club offers 54 holes of golf membership, beach club, pickleball, member-only restaurant/Rookery, fitness facility, lap pool, tennis courts and an active lifestyle. Orchid Ridge Shadow Wood At The Brooks Homes: Custom Wyman Stokes estate home with 4 ensuite bedrooms + den, 5 baths (4/1) & oversized 3 car garage in the Orchid Ridge neighborhood. Large 2nd floor 4th bedroom/bonus room over the garage being used as grandkids suite. Views include the lake & 7th tee of the south golf course. Enter into the tranquil and spacious courtyard with lush foliage and new porcelain flooring. 3 sets of French doors open from the courtyard into the great room and the guest suites wing. The casual great room has a very warm & inviting open floor plan. Fine architectural details & craftsmanship include maple wood beams, tongue & groove ceilings, wrought iron finishes, wood, tile, and marble flooring and tray ceilings. Kitchen features large island with gas cooktop, GE appliances, custom cabinetry, walk-in pantry, granite and quartz countertops, tile backsplash & pass-through bar to outdoor kitchen. Entertain in style in the new outdoor kitchen with stainless steel gas grill, covered dining, gas FP with ledger stone wall and resort style gas heated pool & spa with spillover design. Master suite with large custom closet & en-suite bath with marble finishes. 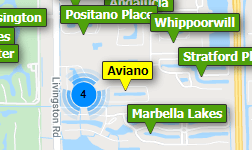 Near RSW, dining, shipping and beaches. Banyan Cove Shadow Wood At The Brooks Homes: Best value in Shadow Wood! Beautiful panoramic Golf Course and Lake views await you in this extended Harbourside home. This 4 bedroom custom home was designed with breathtaking views from nearly every room. The tall ceilings, larger rooms and neutral palette give this home a very open contemporary feel. The Chef’s kitchen has all new Stainless Steel appliances. The large Master suite offers a sitting area, his/her closets, his/her vanities and direct access to the pool and jacuzzi. Two large first floor Guest suites and a large second floor Guest Suite with lounging area and balcony awaits your guests. This 2nd floor suite can double as a second office, craft or workout room. Large 3.5-car garage w/ epoxy floor & blt-in cabinets, speakers thru-out home, garage & lanai. Across the street from a 2 mile Audubon walking Trail. The sunsets at the end of the day are spectacular. Shadow Wood CC & Commons Club offer 3 Championship golf courses, active tennis program, Bocce, fitness center, pickle ball & private Beach Club. 2018/19 updates too numerous to list. Woodsedge Shadow Wood At The Brooks Homes: Welcome to this beautiful custom-built Southern Bay Estate home with long lake and golf views of the 13th fairway. Fabulous private tranquil setting surrounds you within this oversized estate location. As you step through the custom glass and iron front door, you are greeted by gorgeous custom tile, high ceilings, surround sound, and crown molding throughout. Step into the living room and enjoy the views through the disappearing edge sliding glass doors out to the oversized lanai and infinity edge pool and spa. This home offers 3900 square feet of living space under air comprised of three bedrooms and a den, three and a half baths, oversized kitchen with granite countertops and custom cabinets and center island cooktop, dining room, three car garage, and outdoor living space complete with a built-in grill, sink and bar height entertaining area. Fabulous air conditioned storage within the main house, 30 KW Generator, complete hurricane protection. Woodsedge is a highly sought after and desirable location within the Shadow Wood community which offers 54 holes of private golf, a private beach club, tennis courts, pickleball, bocce ball courts and member exclusive dining options. Glen Lakes Shadow Wood At The Brooks Homes: Welcome to this Frye and Son Builder Model home with its striking features that observed immediately upon arrival; brick paver driveway, arched windows, barrel-tile roof and stone accents. Dramatic details found throughout the spacious interior include soaring ceilings, richly finished floors, and coffered ceilings in the dining room. The most stunning feature of this home is its private panoramic lake views that can be seen from almost every room in the house. The kitchen features a spacious pantry, center island and 9 ft breakfast bar, fully opened to the leisure room and café. The spaciousness of the home is amplified by two sizable verandahs and a covered lanai with a fully equipped outdoor kitchen and pool. The master suite is secluded beyond a vestibule that leads immediately into the master bath and, past two large his and hers closets. This area is an ideal private retreat that opens onto the verandah through double French doors. The home also features a study, 2 guest bedrooms with private baths, powder room easily accessible from the living and dining room, pool bath, and laundry room. Book an Appointment and come see for yourself. You will not believe the Wow Factor! Magnolia Bend Shadow Wood At The Brooks Homes: Exquisite detail throughout this home makes it a true masterpiece. This five bedroom, four and a half bathroom, 2+1 car garage great room home is a must see. Soaring tray ceilings, arched transom windows for natural light, large picture window in formal living area, 90 degree sliding glass door from great room to lanai which is great for entertaining, summer kitchen, wet bar in great room, 4 of the guest bedrooms are en suites, AC storage closet in garage, pool & Spa with panoramic view of 2nd fairway and green of the South course. The chef’s delight kitchen features an Island, 5 burner natural gas stove, walk-in pantry, Thermador and Bosch appliances, and spacious breakfast bar. The Master Suite features two large walk-in closets, sitting area, French doors to lanai, and large walk-in shower, soaking tub, and his and her vanities. New Travertine pool deck 2019. This home has complete hurricane protection. Shadow Wood Country Club offers 54 holes of championship golf, nine Har-Tru tennis courts, a bocce court, pickleball and access to a private beach club and a fitness center. Willow Walk Shadow Wood At The Brooks Homes: Owner reduces list price to $1,299,000 and offers buyer incentive credit of $17,500.00 at closing if contract effective date is on or before April 30, 2019. Now offered FURNISHED w/ a few exceptions. Executive custom built house, single story, on oversized premium lot with panoramic water view and #2 north course golf green beyond. A dramatic view entering the foyer with lanai cage 'picture window' framing the spectacular private & quiet setting (cage new 2017). Three bedrooms plus den and 5 baths, including lanai accessible pool bath. Three car garage. Custom bamboo flooring in living areas and all bedrooms. Natural gas powers whole house generator (new 2018), kitchen cooktop, water heater (new 2015), lanai grill, pool/spa heater, & living room fireplace. Large master suite, 2 walk-in custom closets. Lanai summer kitchen with gas grill, sink, refrigerator and granite counter. Kitchen has granite counters and 'slider shelved' cabinetry. Den w/ built in desk and LED lights. Two zoned HVAC with U/V lights, one new 2014 the other 2017. Huge interior storage room. Electric & manual storm shutters. Extensive outdoor LED lighting new 2013. New roof completed March 2019. Sweet Bay At Shadow Wood Shadow Wood At The Brooks Homes: Incredible VALUE for this price point. Highly customized and de-tuscanized Landmark 2 story home in Sweet Bay, Shadow Wood, featuring 4 en-suite BR + den, 5 Bath, loft, rarely available 3 car garage, with 15,000 sq. ft. lot. Over $200,000+ in recent upgrades. Enjoy beautiful views of morning sunrise, lake, and green of #1 South course. Outdoor living at its finest with natural gas for cook kitchen, fire pit, 40' lap pool, & free standing large spa. Beautiful landscaping and fountains, under cover dining area with electric screens, and side yard. Other upgrades include neutral paint colors, solid mahogany doors, 22' living rm ceilings, wet bar, crown molding, 12" base boards, gas FP, French doors, plantation shutters, designer carpet, Lutron lighting system, tankless water heater, generator, & hurricane protection. Perfect kitchen for gourmet cook with center island, 6 burner Jenn-Aire gas cook-top, stainless appliances, granite, oversized breakfast bar & eat-in-area. Master en-suite on 1st floor with large bath & French doors to the lanai. Come take a look at this fabulous BUY & see all Shadow Wood has to offer. Willow Walk Shadow Wood At The Brooks Homes: Absolutely beautiful, spacious Harbourside custom home with a new tile roof August 2018. Located in the quiet, pristine Willow Walk neighborhood in Shadow Wood. Enter into truly stunning, peaceful views of water, golf course and preserve. Magnificently detailed ceilings and wall finishes.Three bedrooms plus den. Private baths for all bedrooms. Formal and casual dining. Numerous features and upgrades. Custom cabinetry, granite counters, separate built in wet bar with ice maker and wine refrigerator. Large open lanai,attractively landscaped. Gas fireplace, outdoor kitchen with separate bar area. Gas heated pool and spa. Shadow Wood residents can join the club to enjoy 54 holes of golf, 9 newly renovated tennis courts , 2 bocce ball courts and 2 clubhouses that offer a variety of dining venues and social events. Residents can also join the Commons Club for access to a fitness center and spa, pickleball courts and a beach club on the Gulf of Mexico. All with additional social and dining activities. Magnolia Bend Shadow Wood At The Brooks Homes: "MAGNOLIA BEND" ESTATE "FAIRWAY" HOME! $175,000 REDUCTION! "BEST VALUE" IN SHADOW WOOD! 5 BEDROOM, 5 BATH, 3 CAR GARAGE, POOL-SPA WITH OVER $200,000 IN DESIGNER UPGRADES. SOARING 20' CEILING W/ TRIPLE TRAY BACK-LIT CEILINGS AND MULTIPLE 14' ARCHWAYS. BIG OPEN FLOOR PLAN W/ LOTS OF WINDOWS/SLIDERS, HOME IS LIGHT, BRIGHT+SUNNY. FLOORS ARE ALL 22" DIAGONAL PORCELAIN TILES. A TRUE "CHEFS" KITCHEN WITH CUSTOM WOOD 42" CABINETS, COMMERCIAL STAINLESS STEEL APPLIANCES & GAS 6 BURNER STOVE COOKTOP. MASTER BEDROOM HAS HIS/HERS CLOSETS WITH CUSTOM ORGANIZERS. MASTER BATH W/ ROMAN SOAKING TUB & FLOOR-TO-CEILING TILED WALK-THRU SHOWER. ALL OUTSIDE STONE TRIM IS CONCRETE (NO WOOD PECKER DAMAGE). HOME HAS ALL NEW KEVLAR "HURRICANE" SCREENS, ELECTRIC CONTROLLED. WHOLE HOUSE 34K GENERAC STORM GENERATOR (RUNS WHOLE HOME) & TWO (2) BRAND NEW TRANE A/C SYSTEMS & WASH/DRY W/ FULL WARRANTY. ENJOY THE "COMMONS CLUB" ITS A SHORT WALK TO FITNESS CENTER AND THE ROOKERY RESTAURANT. CLOSE TO THE GOLF CLUBHOUSE WHERE SOCIAL+GOLF MEMBERSHIP IS AVAILABLE BUT TOTALLY OPTIONAL. HOME COMES W/ ONE YEAR HOME SERVICE MAINTENANCE WARRANTY FOR TOTAL BUYER COMFORT. THIS IS A PREMIER "BEST VALUE" ESTATE HOME PROPERTY. Woodsedge Shadow Wood At The Brooks Homes: This 3 bedroom, 3 bath home is a must see. The view from the great room of the 17th hole of the Shadow Wood golf course is spectacular. Features include an expansive lanai with a summer kitchen, a walk-in wine cellar next to the formal dining room which holds 1,000 bottles, GE Monogram appliances, gas stove, a walk-in pantry, a wet bar in the living room and a zero edge infinity pool with spa. The custom cabinets are abundant and the home is perfectly suited for sunset entertaining with it's north western exposure. A 3rd single car garage is accessible from the house. Shadow Wood Country Club offers Full Golf, Executive and Sports memberships. The Commons Club offers Resident Membership Opportunities for all homeowners. Summerfield Shadow Wood At The Brooks Homes: Custom Harborside home with sweeping golf course views! This lovely home features large rooms and ample closet storage. Ensuite guest bedrooms with private outside relaxation area. Tranquil master bedroom retreat and spa bath featuring a walk through shower. Four full bathrooms, including a pool/hall bath with steam shower. The open kitchen features granite counter tops, center island, and desk area. Motorized shades in outdoor Florida room and kitchen. Entertaining is a delight on the expansive lanai! Complete outdoor kitchen with extra large gas grill, cozy outdoor gas fireplace and gas tikki torches. Pool offers auto fill and overflow features. Beautiful cypress wood ceilings in outdoor areas. Complete hurricane coverage provides peace of mind. Seller is providing a one year home warranty to buyer. Shadow Wood Country Club membership offers three newly renovated golf courses, tennis and bocce courts, and two clubhouses. Commons Club members enjoy a private beach on the Gulf, fitness center, private restaurant, and social activities. Lake Forest At Shadow Wood Shadow Wood At The Brooks Homes: INCREDIBLE OPPORTUNITY TO BUY a Custom Keevan home on an oversized estate lot with private preserve and lake views in the Lake Forest neighborhood. This unique 3 bedroom + den, 4 bath, 3 car garage home features a large great room upon entering with 3 sets of French doors leading to the lanai. Upgrades include 15' double tray ceilings, custom cabinetry, crown molding, 20" porcelain tile flooring, double sided gas fireplace, and wet bar with wine cooler. Second large area for entertaining with open gourmet kitchen and family room area with 90 degree sliders opening to the lanai. Kitchen includes eat-in area, breakfast bar, center island, granite counter-tops, walk-in pantry closet, and newer stainless steel appliances. French door entry into the den with custom cabinetry and sliders existing to private 2nd lanai. Master bedroom has sitting room, 2 custom closets, fireplace and hardwood floors. Guest suites also have hardwood floors and en-suite baths. Spacious lanai with solar and gas heated pool and spa with undercover area for dining and lounging around the resort style pool. 2016 Trane AC systems. MAKE THIS YOUR HOME! SELLER WANTS OFFERS! Need professional assistance selling your property at Shadow Wood At The Brooks Estero? Find out how an Area Specialist can help to generate more property exposure in order to get the most money for your investment in the least amount of time.